I don’t know about you, but sometimes I get the urge to bake. And yesterday was one of those days. I did a little prep in the morning with the glitter work. However I didn’t start the cupcakes until about 6.30pm. We had Big Bang Theory on the television and I sat at our table, and played with decoration. This isn’t an order, these are just for us. I will take some up to Mum & Dads today, and I may give a couple to my next door neighbours, but the rest are ours. 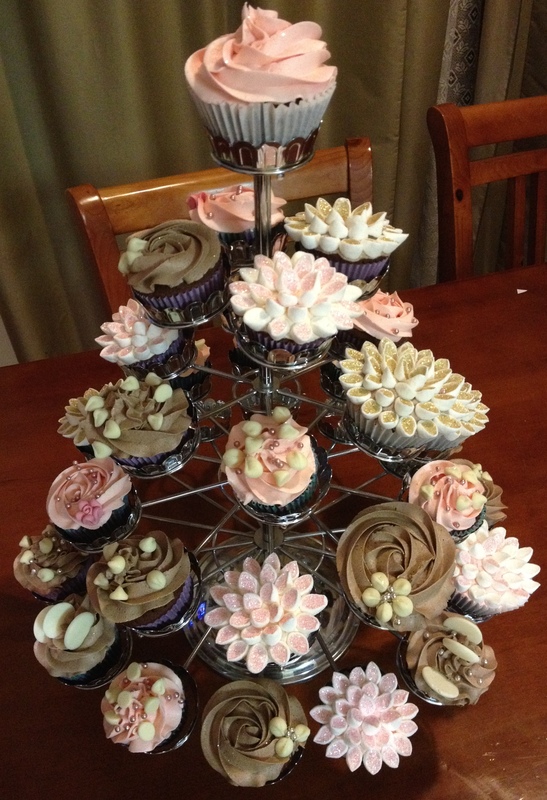 The pink cupcakes have vanilla buttercream and the others are chocolate buttercream. 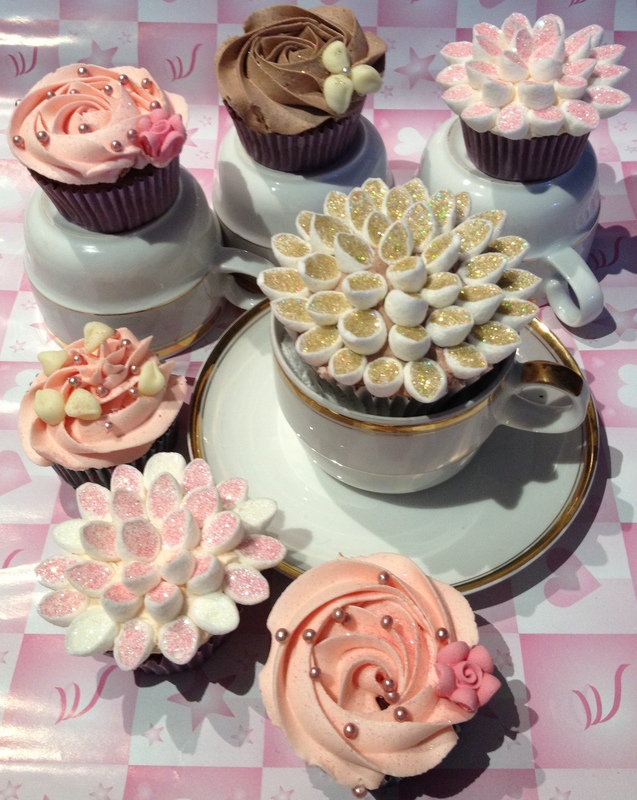 I purchased these cups and saucers from a second-hand shop yesterday, I thought they might look good with the cakes. So I took some photos this morning, and I’m really impressed how they’ve come out. I just need to be on the look out for a teapot now that has the white and gold colouring, personally I think that by keeping the accessories to a minimum – especially in colour, it shows off the cupcakes better. My brother is teaching me all about ‘using the light,’ in photos, and all I thought I had to do was bake. I am slowly learning – and these photos are definitely going down the right path. 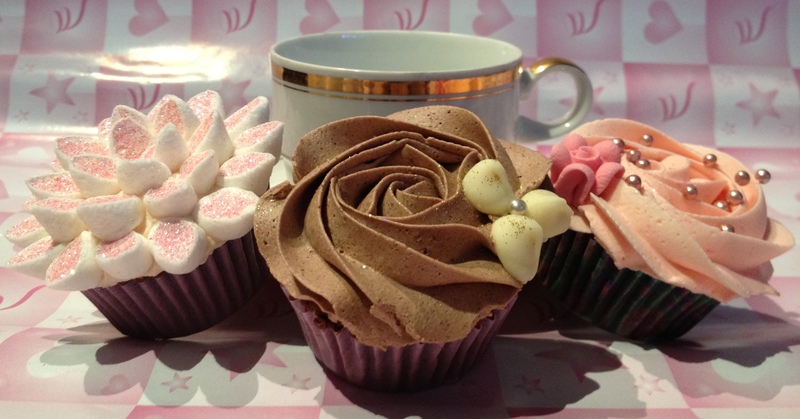 My plans today, are to continue in the design of the autumn cupcakes – which ideally I want finished, baked & decorated by Wednesday – Thursday at the latest. And to start the wedding cake flowers, so lots of things to keep me out of trouble.